I had really high hopes for this week because I was headed to the Promised Land, a larger base with things like spin and yoga classes, and the ability to run outside on something other than a 200-meter loop. I’m here for a class and didn’t realize how much work the class would involve outside of class, too, and also that the class goes all day just like the schedule says. So while I haven’t had as much time as I thought I would, I’ve had plenty of time to do things like get a massage in an attempt to get rid of the soreness in my back, and see a movie in an actual movie theater. I saw Brooklyn because I heard an interview of Saiorse Ronan on a podcast. It was pretty good! Monday I tried to do 175 pounds for my last two squat sets, but my form was really suffering so I’m not ready to squat that much (yet). I did manage 135 pounds for my deadlift, and a whole set of 15 kilogram (33 pound) back extensions. I was benching 94 pounds and lost count of my set so I thought I’d do another and my bar went up unevenly and I began to resemble a supine kayaker as the other side went up and the first side went down and I struggled. Fortunately I got rescued, but I was thoroughly embarrassed. 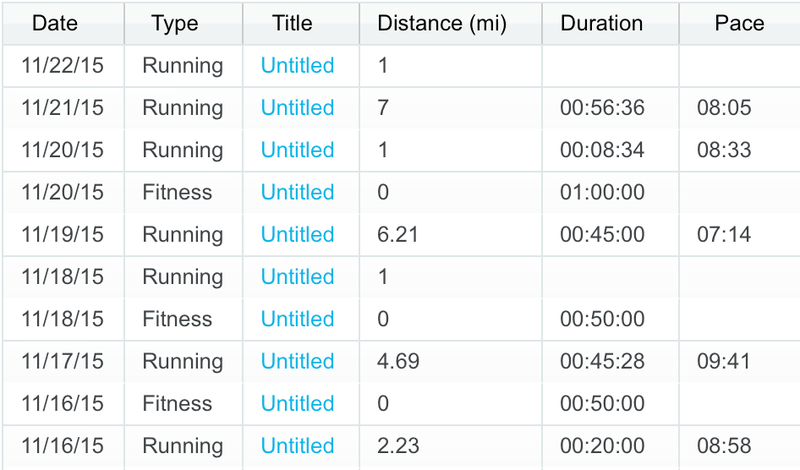 I did an easy five miles on Tuesday and Thursday. Wednesday my flight was delayed so I went to the gym to get a workout in. I had finished a quick run, and my squat sets and was working on my deadlift when my delayed bird came earlier than expected. I re-racked my weights as quickly as I could, threw my jacket back on and ran outside. I was just in time to get on with my bags. Thursday was the first day of my class and since it was Thanksgiving the instructor let us go at lunch so we could eat. I had a great Thanksgiving lunch and they had a live band playing, too. Since I had the afternoon off, I did a little bazaar shopping and then went to find the gym. It was crazy nice and I will have to go back and take a picture. 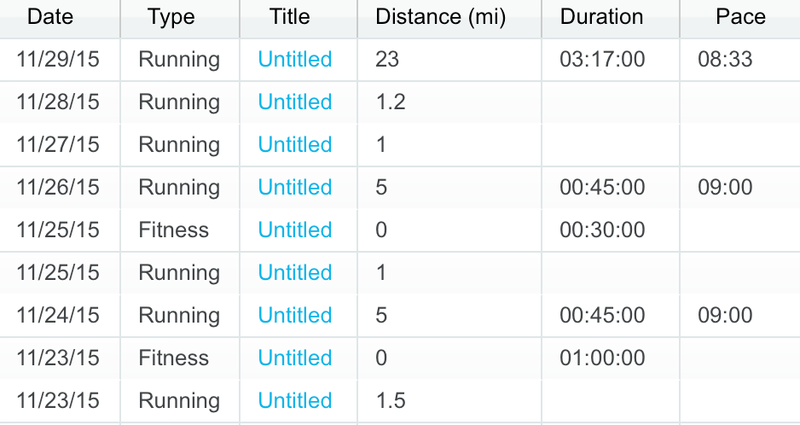 The next couple days I was pretty busy with class and after-class practices so I got in some minimum mileage around the base. We got off a little early today and I was feeling really guilty about not getting all my Dopey mileage in. I thought about doing 10 miles today and 23 tomorrow, but I want to go lifting tomorrow, so I just did my 23 today. The gym I went to wasn’t as nice as the first gym, but it was a little closer and bigger. I’ll probably go there to lift tomorrow. 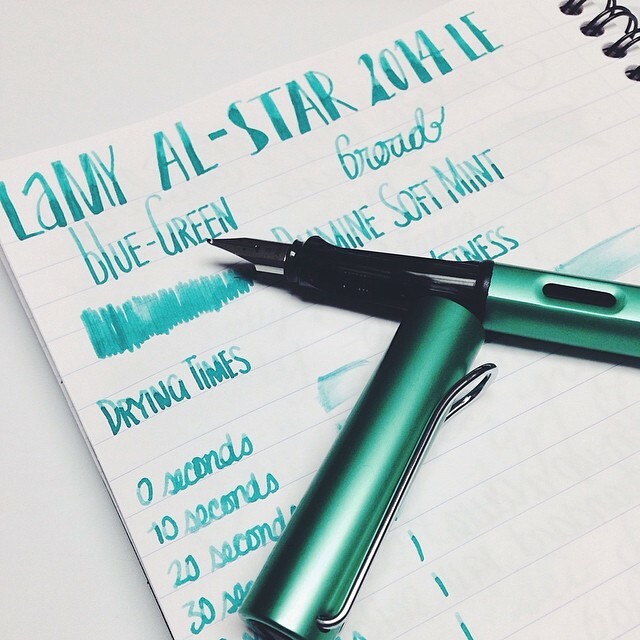 In other news, I somehow lost my beloved Lamy Al-Star 2014 Bluegreen. I am surprisingly bummed about this. It was so smooth and pleasant to write with, and I thought it was really a very pretty pen. I had it inked up with Baystate Blue, a shockingly bright blue that invariably stained my fingers, but also had the added draw of being permanent, freeze-proof and even bulletproof. I’m not sure what to get now. An exact replacement would be a little expensive, but all the other pens I might get would be about as expensive, too. It’s just such a bummer. I really liked that pen. I’m thankful that nothing lasts forever. As a side note, I’m in Ecclesiastes and I think it might be one of my most favorite books of the Bible. Today I’m thankful for movies. I’ve always liked movies, but lately I’ve really come to appreciate them even more for the escape they provide. 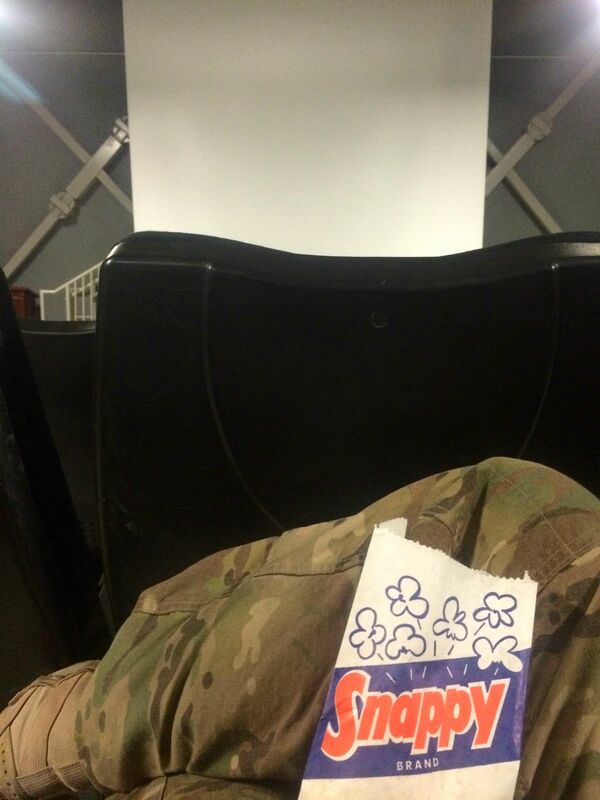 Before I deployed I saw a new movie every night I could because I wanted to think of something other than my impending departure. I’m at training this week and there’s a REAL movie theater here! With recent releases! And popcorn! And it’s free! I saw War Room the other day, not realizing it’s not actually a war movie, and tonight I saw Brooklyn because I’d heard about it on NPR. They’re even showing the new Star Wars movie next month, though sadly I’ll be gone by then. It’s so surreal how I don’t even feel like I’m deployed right now. I definitely don’t feel like I’m at home, but things here are so built up that it’s hard to believe I’m in a war zone. I had to combine today and yesterday because I was traveling yesterday and didn’t get a chance to post. I’m thankful that I can go outside alone, I can drive my car alone to wherever I want, whenever I want and that I can vote, I was educated as well as the men in my family, and I’ve never had to worry about being attacked or my family being attacked. I’ve been so fortunate my whole life and so many other women elsewhere in the world aren’t. Today I’m also thankful that I figured out how to work the heater in my room because it was pretty chilly last night! And also for the good food at the dining facility and that I have the time to do a little shopping and relaxing after my class every day. I’m thankful for traveling for the perspective it gives me on my own life and the experiences I have while traveling. Not always fun but always an adventure. Today I am thankful for ear plugs, and also melatonin pills and my sleeping mask. They’re how I sleep in the summer when the sun doesn’t set, and also great for traveling. 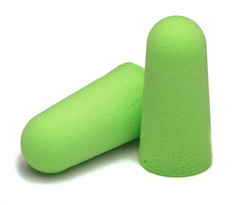 I’ve also been using them more out here because my suite mates can be loud at strange hours of the night and morning. I also started taking melatonin again on a regular basis instead of just an occasional sleep-booster. I have a theory that because I work inside a windowless building all day, my body has no idea what my circadian rhythm should be anymore. 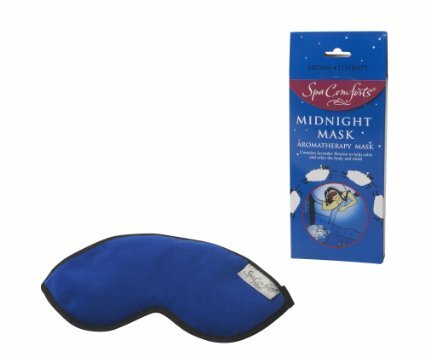 I love my sleeping mask because one side is satin and it’s stuffed with lavender petals so it smells really comforting and is very relaxing. the nose is also padded which helps block light coming through the bottom. I felt pretty good this week. It was still a light week so I took the opportunity to run a few times without any regard to time and just get the distance in. I think that, and just taking my easy runs well, easy, helped. It’s also less of a hurdle to me to not have to care about the time or pace on a run after I’m done lifting. I feel pretty thrashed after lifting and trying to keep my pace up is more of a chore than a challenge. I think just having one main focus helps keep me from feeling overwhelmed and then apathetic in the gym. I’ve also noticed that how I’m feeling emotionally plays a big role in how much effort I feel like I can give that day. Since living here is like living in a hamster cage, there’s lots of time to marinate in emotions and little things can become big things because you don’t have much else to distract you from thinking about it over and over. Sometimes I try to run with all of this weighing me down and it doesn’t usually work so well. If there’s a good movie on, or I have a really good podcast I can shed the cares and focus on the run, but it doesn’t always happen. I’m still really happy with my lifting program. I got up to 175 on my squats, 125 on my deadlifts, I can do my back extensions with 22 pounds now, and I can bench press 97 pounds. That was all one set max, except for the back extensions. I only do three sets of those so I do one warm-up set and the other two are working weight. My goals for this week are to keep working at making these weights my working weight and another 10 or 20 pounds my maximum weight. It’s hard to believe I’m only about six weeks from Dopey. I decided to splurge and booked the race retreat for the race mornings of the half and full marathon. I’ve never tried it before so I thought it would be fun to try it out and see if it’s worth the cost in the future. My husband is what/who I’m thankful for today. He laughs at my (usually) terrible jokes, and is the kindest, most genuine person I’ve ever met in my life. He does this funny thing where he steals my chocolate. Confession: I usually have a stash of chocolate in my car from after-holiday sales and I’ll snack on a piece or two. P will eat ALL of it just to watch me get upset with him for eating my chocolate stash. This summer he left me a note from “El Choco-late Bandito” and a little drawing of the chocolate bandit…and all my chocolate was gone. I’m thankful I have a job that not only pays my bills, but can be pretty fun, too. Today I spent a long time drawing designs for new signs we’re going to have made around the camp. It was so fun to be able to do some “coloring” for a change. When I was much younger, (well, actually just in high school, but that is a little over 10 years ago now, eep!) I used to make mix tapes from songs I liked on the radio by taping the bottoms of cassette tapes and when I heard a song I liked, I’d rush over and hit record. It was always annoying when the DJ would cut in at the end of the song, and sometimes I inadvertently taped over parts of other songs I’d recorded. So today, I am thankful we have improved from that and that now I can dial up (is that an old idiom now too?) my favorite songs and skip the ones I don’t like. I use a site called Slacker Radio at work because it uses minimal bandwidth, which is key when there’s a lot of other things going on on the network. I like it pretty well, but unless I pay for a subscription service I can’t pick exactly what song I want to listen to. Today I thought I’d listen to the Top 40 and ended up skipping a lot of the songs. I am not so impressed with the music situation back home so I’m glad I still have a few more months for it to get better and until then, I have a skip button.